Edward Bach trained and qualified at University College Hospital and gained the Diploma of Public Health at Cambridge in the early 1900s. He was rather an unusual medical student, for he soon became more interested in his patients rather than their diseases. He began to feel then that treating the physical symptoms was not enough. The body was a mirror reflecting the thoughts in the mind. He felt that a completely new method of treatment was needed. His research in the laboratories of the Royal London Homeopathic Hospital brought him a big step forward to his final work. The results given by his “nosodes” were excellent and confirmed his opinions that physical disease was not of physical origin, but “the consolidation of a mental attitude”. The new method of treatment would “treat the patient, not the disease”. Devoting his time and his life to the search for the pure remedies, he found 38 flowers to cover the 38 negative states of mind which mankind can suffer. These flowers, with three exceptions, are all the simple wild flowers of the countryside. He prepared the flowers only, for they grow above ground in the sunlight and the air; they contain in their hearts the embryo seed, the continued life of the plant. You will know many of them: gorse, heather, honeysuckle, wild rose, agrimony, and the flowers of our well-known trees: oak, beech, willow, larch. Good health is harmony, rhythm, when we think positively, constructively, happily. Ill-health when we think negatively, unhappily, destructively. Such is the power of thought, the power man has over his body, which is, after all, only the vehicle he uses on his journey through life on earth. Bach Flowers India's aspiration is to give open access to Bach remedies, the methods of preparation and Bach’s writings. Our aims are to make the best possible quality essences, according precisely to Dr. Bach’s original directions, at a fair price to the Customer, our community and our environment. 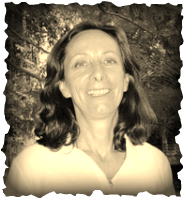 Our Founder Veronique Robert was a French naturopath, specialized in aromatherapy and Bach Flower Therapy. She was a Bach Foundation registered practitioner since 2001 & taught Level - 1 Bach Foundation approved courses in India.